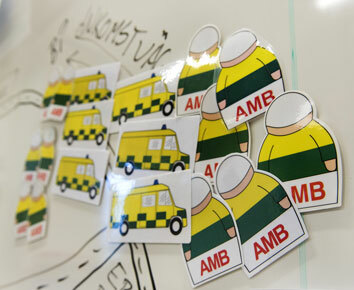 The Emergo Train System Basic set includes all training material needed for setting up and running pre-hospital exercises: pre-hospital symbols such as staff and vehicles (eg ambulance, rescue services, police), stickers for treatment of the patients, signs, photos of incidents, templates for evaluation of the patient outcome. 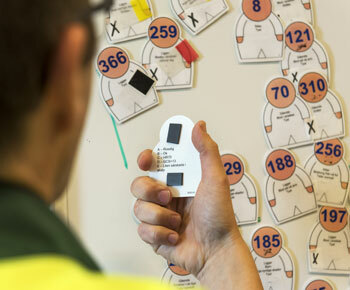 The Basic set also includes the ETS trauma bank with over 300 patients and management cards with various injuries. 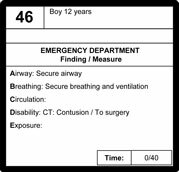 The ETS trauma victim bank (patients and management cards) can be purchased separately.